A computer malware attack may render your PC and files useless. It also compromises your personal information. There are different computer virus malware attacks. What are they and how can you prevent them? Trojan Horse is a malware disguised as a helpful application. It pretends as a fake Flash Player or a Google update to lure its victim. Trojan Horse has many functions. It serves as a tool for installing other malware such as Rootkit. Trojan Horse is also used for conducting a DDoS attack. In this, hackers generate uncontrollable traffic to take a website or a network down. However, Trojan Horse is commonly known for creating backdoor access for the hacker. It enables the hacker to take over the computer. Because Trojan can bypass an antivirus, a Trojan computer virus malware attack can go undetected for a long time. Ransomware is a file-encrypting malware. It uses AES and RSA cryptosystems to encrypt files. It adds an extension at the end of a ransomware encrypted file then demands a ransom later. In 2018, global ransomware damage cost came to over $8B. A ransomware computer virus malware attack is a big threat to both consumers and companies. When ransomware hits the computer, it will cause data loss. The easiest way to recover from this computer virus malware attack is from having a backup copy of your files. Paying the ransom never guarantees file recovery. Also, most ransomware today are almost undecryptable. That’s one of the worst types of malware attacks. Spyware is one of the types of malware that steals personal information and credentials. This computer virus malware attack is common in both mobile phones and computers. Spyware gains access to your SMS, call log, and browsing history. Stolen information are transmitted through a remote server. The hacker uses it for unauthorized transactions. Keylogger is a type of spyware that tracks the keys entered on the keyboard. Even if the password is concealed, keylogger can reveal it. Trend Micro found spyware-infected apps on Google Play. These infected apps can infect the computer when the user connects the mobile device to it. Fileless malware is a new age cyber threat. It spreads in the computer even without an executable file. Normally, malware is attached to an executable file. It spreads in the computer when the user runs the file. Fileless malware never relies on an executable. When the user opens a phishing link or URL, fileless malware infects the computer. The fileless malware destination is not the hard drive, but the computer memory. Thus, it can command Windows Powershell to perform malicious activities. Windows Powershell is designed for a system administrator. So fileless malware functions without restrictions. This type of computer virus malware attack may require an operating system reinstallation. Fileless malware is difficult to detect and remove. Malicious bots are types of malware that receive commands from the main server. Bots are used mainly in conducting a DDoS attack. Hackers drop it as a fake keyword on legitimate websites. Without a CAPTCHA, a website can be susceptible to a bot attack. This type of computer virus malware attack also turns a computer into a zombie computer. A zombie computer becomes part of a botnet. It is used in conducting malware attacks and cybercrimes without the user’s knowledge. Even if computer virus malware keeps growing more sophisticated, it is still very much preventable. The computer only needs a reputable anti malware software to combat these threats. Anti malware software deep scans the computer to detect and remove malware. It uses advanced malware removal tools to counter advanced cyber attacks. Comodo Anti Malware is a reputable anti malware solution for personal computers. It detects and destroys malware while working silently in the background. Comodo Advanced Endpoint Protection uses an Auto-Containment that is built upon Default Deny. It detects ransomware as soon as it enters the computer. Then it contains it in a virtual container and destroys it. Comodo Advanced Endpoint Protection was named the Best Ransomware Protection in the 2018 Cyber Excellence Award. Comodo Advanced Endpoint Protection prevents fileless malware with Host Intrusion Prevention System. It monitors the computer memory and registry against unauthorized modifications. It also protects the keyboard against Keylogger. Comodo Advanced Endpoint Protection filters network traffic to prevent inbound and outbound threats. It has a class packet filtering that monitors data transmission. So any malicious activities within the network can be instantly detected. 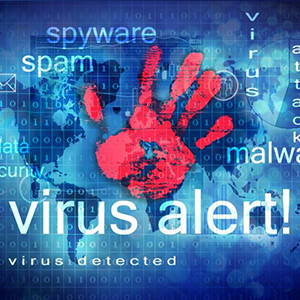 Complete malware protection is necessary, especially in a business network. The endpoint devices can serve as an entry point of malware. With that said, you must protect your network and endpoint devices today. Download Comodo Advanced Endpoint Protection and secure your business network now!